Cat lovers of the world, get your phones out. For the next two weeks, all Swarm check-ins will help Alley Cat Rescue keep stray cats off the streets. Until October 15, Foursquare will make a donation to Alley Cat each time a user checks in at a location on Swarm. 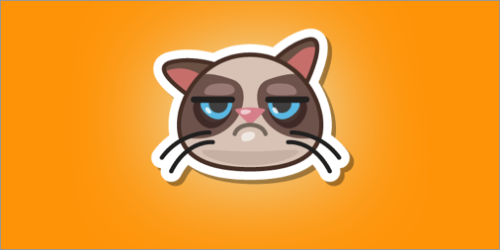 Foursquare also teamed up with Grumpy Cat to bring a special sticker to Swarm to mark this occasion. So join me as I revisit the Swarm app I dropped cold so long ago and check in copiously, just to save a cat or two (but hopefully all of them).